The Shaw Nature Reserve, an extension of the Missouri Botanical Garden, includes 2,500 acres of natural Ozark landscape and managed plant collections. Located 35 miles southwest of St. Louis in Gray Summit, Missouri, it provides environmental education, ecological research and public enjoyment of the natural world. Approximately half of the Reserve's 2400 acres are currently set aside as the "Native Habitats Area" and are managed to favor native biodiversity. The habitats represented include glades, prairies, wetlands, and woodlands. Management methods include assessment of existing diversity, control of exotic species and aggressive natives such as Eastern red cedar (Juniperus virginiana), reintroduction of native plants and occasionally animals, properly timed mowing and prescribed burning. 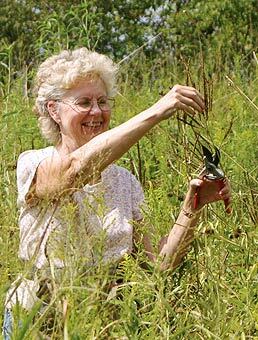 Learn more about ecological restoration and habitat management at the Shaw Nature Reserve. In addition, the Reserve offers training and resources for the home gardener or professional interested in the ecological benefits of landscaping with native plants. The Whitmire Wildflower Garden is a native landscaping demonstration area for homeowners, large landowners and professionals who use native plants in landscaping. The home gardening area displays the showiest and most reliable Missouri native plants for small-scale gardening. Completed in 2003, the Dana Brown Overnight Center is a cluster of historic log or post-and-beam structures dating back to the 1800s. 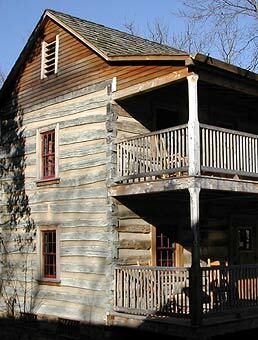 Salvaged from various sites within 100 miles of the Reserve, the buildings (originally cabins and barns) were carefully dismantled and reconstructed at the Center. The Center's shower house uses a submerged flow wetland treatment system which replaces the standard leach field with native Missouri aquatic plants. The Nature Explore Classroom, opened in 2008, was constructed using 95 percent reused materials. 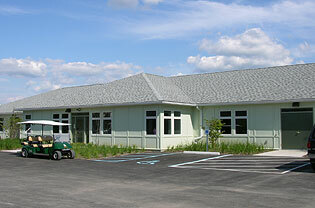 Dedicated in 2010, this new support facility is an excellent example of our commitment to conserve and preserve. Several of the Center's features address sustainability issues, including an innovative cooling system that uses about half the energy of a conventional cooling system, passive solar features and energy-efficient lighting. The Edgar Anderson Center earned LEED™ gold certification. During demolition of the old complex, about 90 percent of the materials were either reused or recycled, greatly reducing the amount of materials taken to landfills. The recycled material included more than 16 tons of metal parts and piping, together with 700+ tons of aggregate from the concrete floors.